If you’re not exceptional, you’re just another nation. “Exceptionalism” is required of a superpower. It’s what gives cred to the “We’re number one!” chant. But you’ll have to excuse me if I don’t get too excited about Greco-Roman-British-American Exceptionalism—or any the geopolitical claim to be exceptional. American Exceptionalism. This too shall pass. There’s only one exception. The Kingdom which endures world without end. The Empire of Christ. One day I heard a whisper: ‘Wherefore wait? Why linger in a separate porch? Why nurse the flicker of a severed torch? The fire is there, ablaze beyond the gate. Why tremble, foolish soul? Why hesitate? Which bade me enter to my own estate. The Red Tories argue that modern free-market capitalism poses as potent a threat to individual liberty and communities as Big Government. Red Tories lump big-box stores, industrial agriculture, and high-finance shenanigans together with heavy-handed bureaucracy and high taxes: all, in their view, undermine the rock-ribbed Conservative values of local autonomy, strong community, diverse traditions, and decentralized power. The Red Tories view themselves as defenders of grassroots community against both the free market and the State. The language of Red Toryism became popular in the mid-1960s when Gad Howoritz suggested that George Grant was a Red Tory. The publication and immediate success of Grant’s, Lament for a Nation: The Defeat of Canadian Nationalism (1965), made it abundantly clear that there were historic forms of conservatism in Canada that could not be equated with American republicanism. Horowitz, in his classic article, ‘Tories, Socialists and the Demise of Canada’(1965), argued that there was a ‘Tory touch’ in the Canadian political tradition that leaned more towards the commonweal and socialism than did the free enterprise system of Blue Toryism. It was this ‘Tory touch’ that was more ‘Red’ than ‘Blue’ in orientation that distinguished the Canadian from the American notions of conservatism. "George Grant was Canada’s most significant public philosopher." There is a rather inaccurate and shallow read of Christian history that unfolds in this manner. Once upon a time there was the pure New Testament church that was faithful and true to the radical commitment to Jesus Christ. This period of time was short, and the fire did not burn bright and with much light for long. The 1st century soon gave way to the post-apostolic era, and in the 2nd-3rd centuries, the intensity and spirit of the martyrs gave way to assimilation, many compromises and a thinning out of the faith journey. The most serious distortion and compromise of the church took place when Constantine came to power in the early decades of the 4th century, and Eusebius’ oration and adoring speech to Constantine made it clear that the church had now become a lapdog and dancing bear of imperial politics. The age of true prophets and genuine martyrs was over. It was just a matter of time before Theodosius and Charlemagne took control of the church and reduced it to a vassal of political power. People have asked for the “BZV” Beatitudes. So here they are. For the kingdom of God is well-suited for ordinary people. For they create space to encounter comfort from another. Blessed are the quiet and content, the humble and unassuming, the gentle and trusting who are not grasping and clutching, for God will personally guarantee their share when heaven and earth become one. For them the government of God is a dream come true. For they will get it back when they need it most. For they will perceive God when and where others don’t. For they are God’s children working in the family business. For the kingdom of heaven comes to earth amidst much persecution. A. James Reimer died August 28 2010. For those who have not studied with him or read any of his books, he was one of the finest Mennonite thinkers of the 20th century. We have lost two of the best this year with the passing of Clark Pinnock and James Reimer. What follows is an article on Reimer that was previously published on Clarion (June 9 2006). We are reposting it in honour of Reimer's life? Reimer's life was not long (1942-2010), but he lived well and leaves us a significant legacy of Anabaptist thought. Among his works, he wrote or edited The Emanuel Hirsch and Paul Tillich Debate: The Political Ramifications of Theology (Edwin Mellen Press, 1989), The Influence of the Frankfurt School on Contemporary Theology: Critical Theory and the Future of Religion (Edwin Mellen Press, 1992), Mennonites and Classical Theology: Dogmatic Foundations for Christian Ethics (Pandora Press, 2001) and The Dogmatic Imagination: The Dynamics of Christian Belief (Herald Press, 2003). There is little doubt that James Reimer is one of the most articulate and thoughtful Mennonite theologians in North America, and he is certainly one of the finest in Canada. The publication of Mennonites and Classical Theology: Dogmatic Foundations for Christian Ethics (2001) and The Dogmatic Imagination: The Dynamics of Christian Belief (2003) positions Reimer at the very forefront and cutting edge of Mennonite thought in Canada and North America. I don’t think there can be any doubt that J.I. Packer (1926….) is one of the most significant puritan theologians of the latter half of the 20th century and the early decades of the 21st century. There has been a consistent track and path in thought, published and spoken word and deed in Packer’s life and writings from the 1950s to the present. I was fortunate to study systematic theology and spiritual theology with Jim Packer when I was at Regent College from 1979-1981, and I co-authored a booklet with Jim, In a Pluralist Age (1998), in response to Bishop Ingham’s Mansions of the Spirit (1997). I am certainly not reformed or puritan in my thinking, but I respect the way Jim Packer has taken plough to soil, dug deep, planted many a fine seed and participated in the producing of a bountiful puritan and evangelical harvest. I did my Masters in Christian Studies (MCS) at Regent College from 1979-1981. 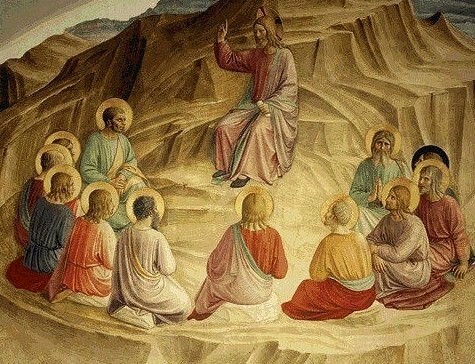 I was a Teaching Assistant (TA) of Jim Houston, when at Regent, and we had many a lingering and searching discussion about the classics of the Christian contemplative tradition. Jim had lived with Nicolas Zernov (an important leader in Orthodox-Anglican Sobornost dialogue in England), and Jim met often with C.S. Lewis. The broad catholic evangelical tradition that Jim was shaped and formed by was grounded and rooted in the best of the classical and patristic tradition, and it was this sensitivity to both the riches of the Roman Catholic and Orthodox traditions that was at the core of Jim’s commitment to the renewal of Christian spirituality. I was quite taken, when at Regent College, by the publication of Richard Foster’s Celebration of Discipline (1978). I avidly read, absorbed and did my limited best to put into practice many of the leads Foster offered in his book. Celebration of Discipline was, in the late 1970s-1980s, one of the more important books doing the rounds in the spirituality circuit. The disciplines, if practiced aright, were meant to renew and deepen the faith journey. The sheer success of Celebration of Discipline launched Foster in a way he probably did not anticipate. I was, when immersed in the insights and recommended practices of the book, doing much study in the Classical languages of the Greek East/Latin West and the contemplative theology and ascetic life style of the Fathers (Abbas) and Mothers (Ammas) of the church. I soon came to see that Foster’s traditions approach to the Tradition had a questionable and most modern and protestant read of the Great Tradition. I will return to this later.